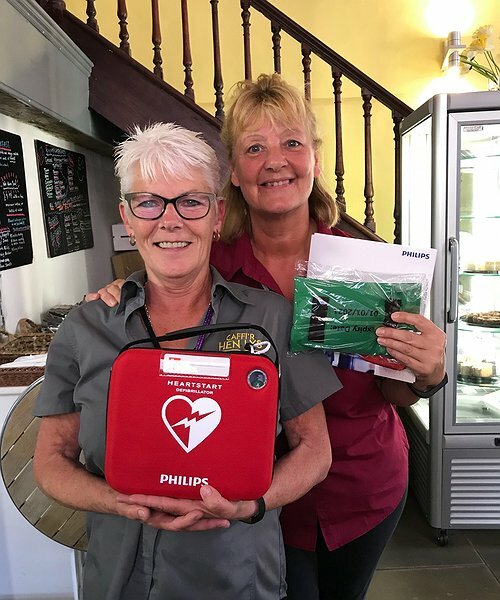 Thanks to funding support from the ‘TESCO Bags of Help’ programme, staff at the Old Court House Café and Community Heritage Hub in Flint are helping to make the area a safer place to be as they have been able to purchase a new defibrillator and first aid kit. Clwyd Alyn also topped up the £1,000 from TESCO Bags of Help with a further £113 towards the overall cost and also provided training from our Corporate Training Budget enabling staff from elsewhere in the Group to also refresh or gain new training. Millions of shoppers have voted in Tesco stores up and down the country and The Old Court House Café and Community Heritage Hub in Flint was one of the local beneficiaries. "Share Your Lunch this summer"